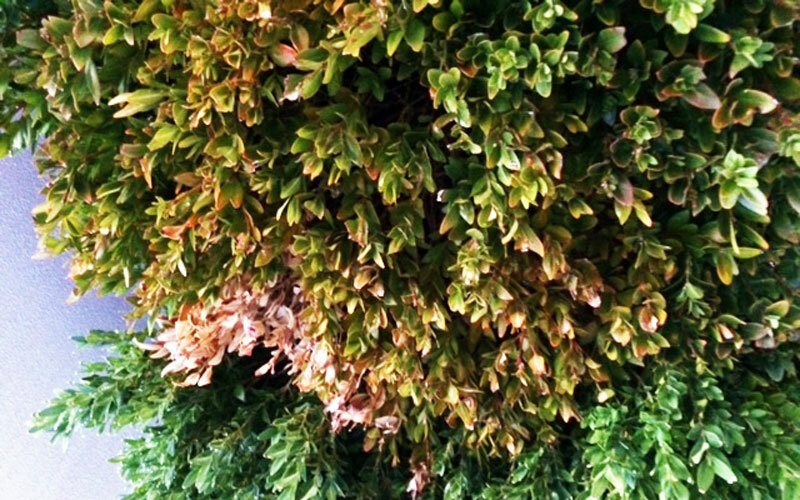 Fungal disease that affects Buxus species (Box). The disease causes leaves to brown and fall off, causing bare patches. It can also infect young stems and cause black streaks and dieback. In damp conditions the spore masses may be visible on the lower side of infected leaves (white for C. buxicola and pink for P. Buxi). The fungi causing this disease thrive in humidity. 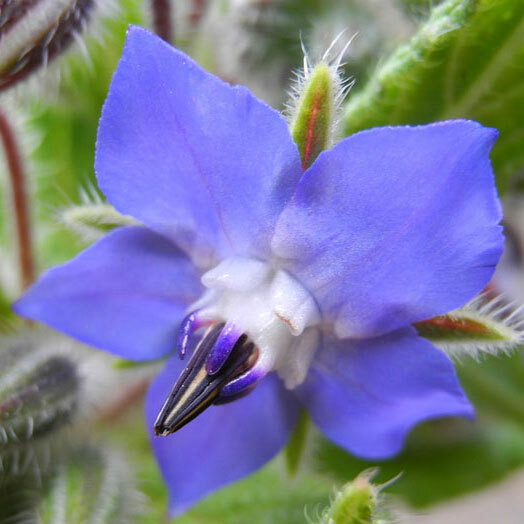 To help, open up plants to increase airflow, reduce regular pruning (as this creates denser foliage and can increase the risk), avoid overhead watering (instead water the soil by hand or use a soaker hose). While no varieties of Buxus are currently considered disease resistant the chance of getting the problem are reduced if you keep plants happy and healthy. 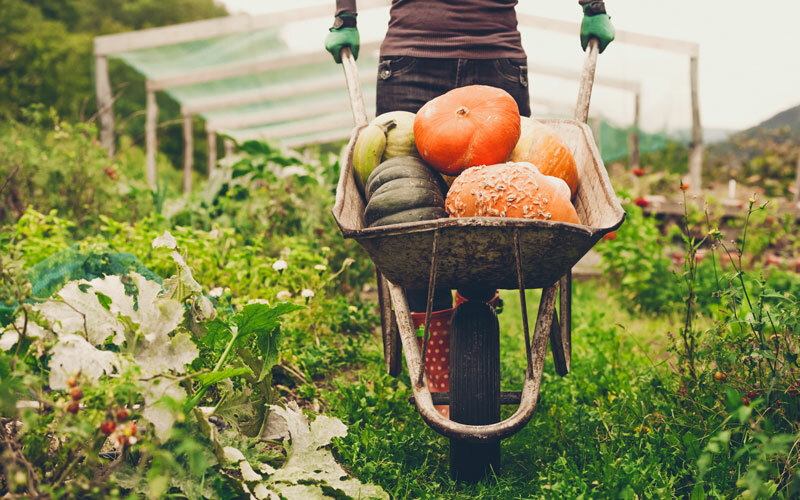 Improve soil health by mulching around the tree, and regularly feeding with sheep pellets and a handful of Nature’s Organic Fertiliser. Water regularly through the drier months. Avoid overhead watering. A deep water weekly is better than regularly providing trees with a small amount. Prune out infected limbs. Sterilise pruning equipment with methylated spirits between plants. Clear away all leaf litter from under the plants. Spray foliage with Aliette, and drench around the roots. As Aliette kills off both harmful and beneficial bacteria it is worth feeding with Aquaticus Organic Garden Booster a month or so after treatment to help your soil. Prune out diseased branches or fully remove infected plants. Open plant up to increase airflow. 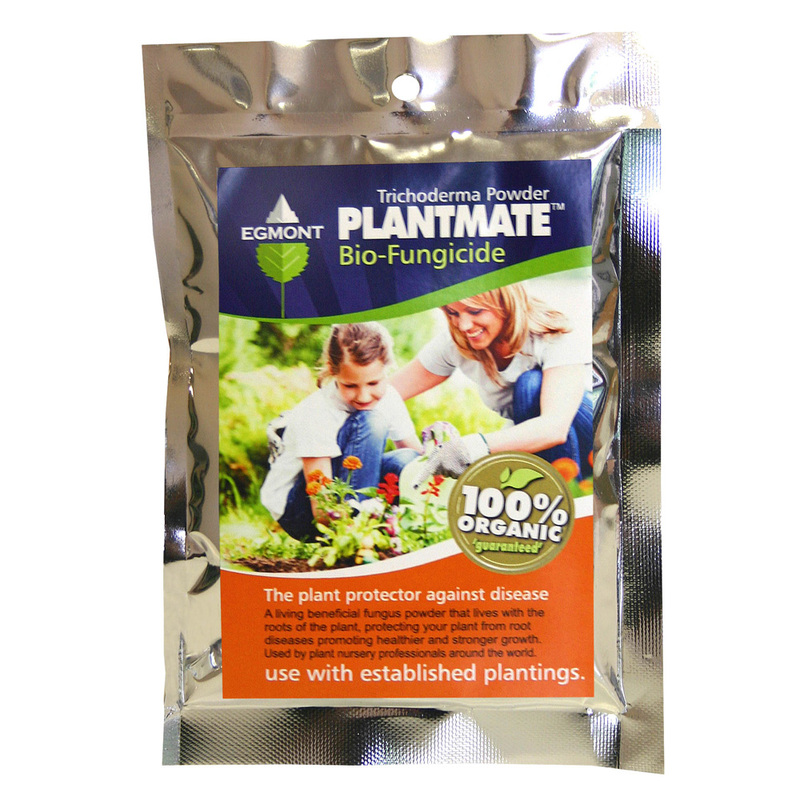 Treating the soil with Plantmate (trichoderma) will help in some situations. Controls root rotting disease and die back. 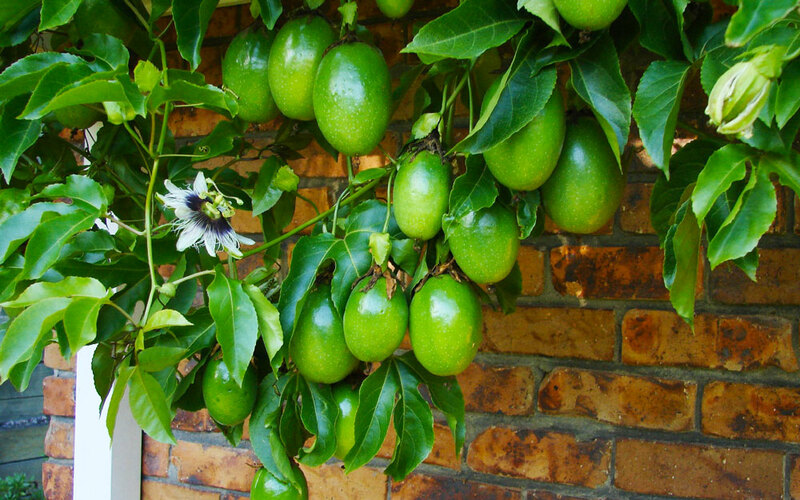 Ideal for use on fruit trees, ornamentals, shrubs and roses. Absorbed through both foliage and roots. 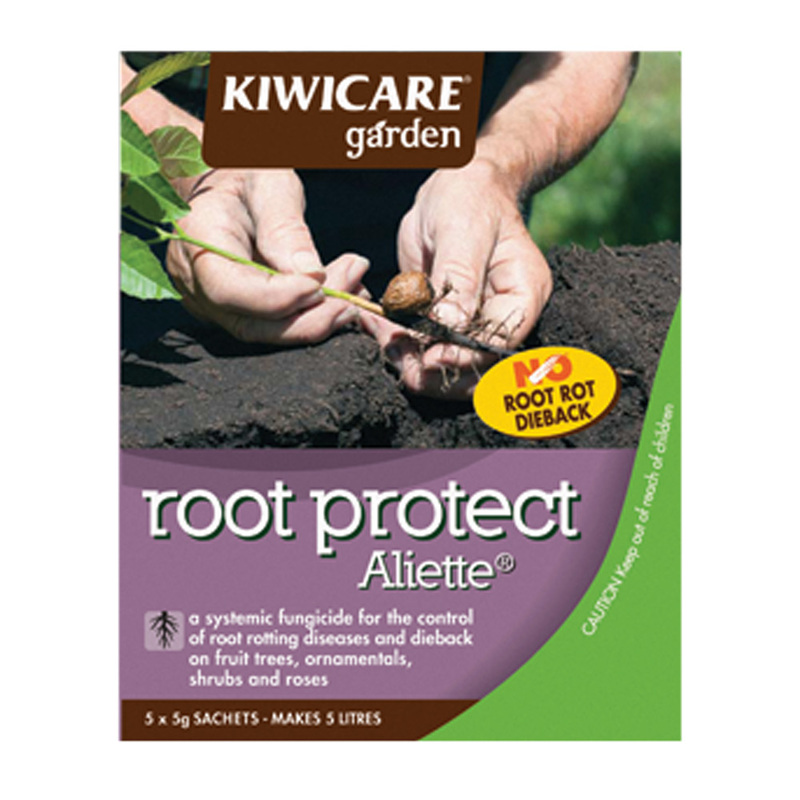 Soluble trichoderma to promote root-growth and to protect your plants from root disease.